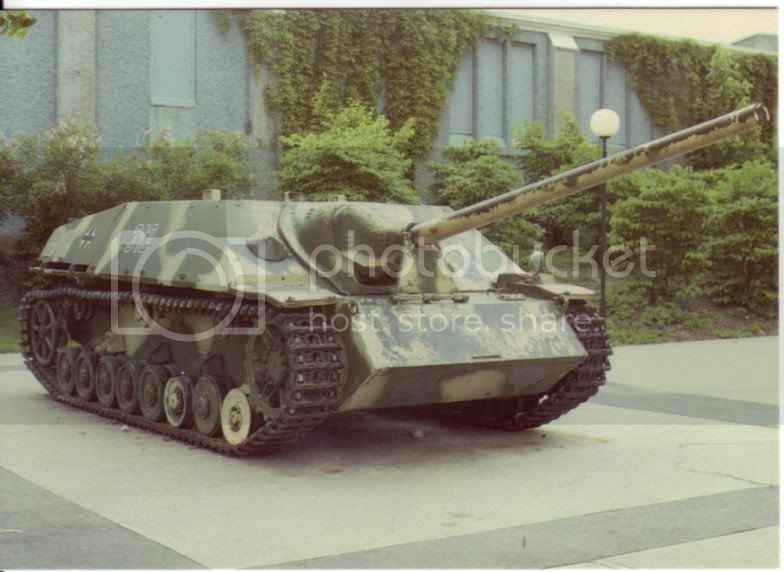 this Panzer IV/70(V) is in a museum in Ottawa, Canada. 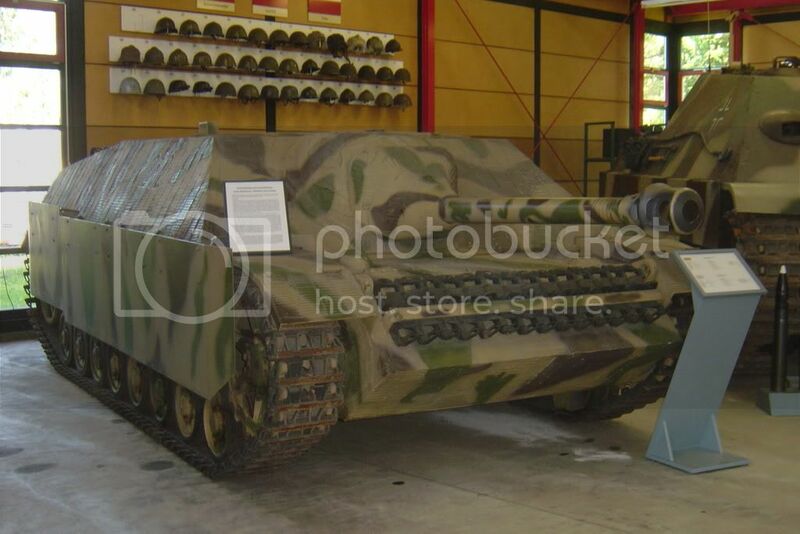 Also known as the Sd.Kfz.162/1. The IV/70 is overly prone to gun damage in Combat Mission modelling... I can see why... the fronal armor is dominated by the gun mantel. I think I figured it out. I used the IRL, but should have used the image code. What good would those skirts do to protect the suspension and tracks? They don't look like they'd stop an atr round. They are for protection from shaped charges, like the bazooka. They set off the charge before it gets to the primary armor and prevents penetration. 'Schuerzen' (aprons) are modelled in ASL by doubling the lower die on the 'To Kill' dice roll if hit on a covered side. the vehicle also loses its Sz if it enters a building/woods obstacle or rubble. What does CM do? no muzzle brake on the one in my image. Nope the paste you see is Zimmerit. 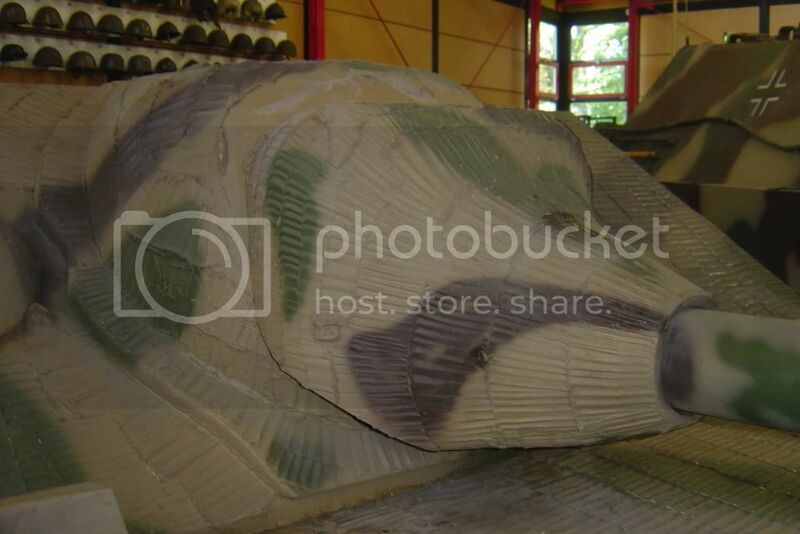 It had nothing to do with camouflage but this ceramic paste was used to protect the vehicle from magnetic mines. 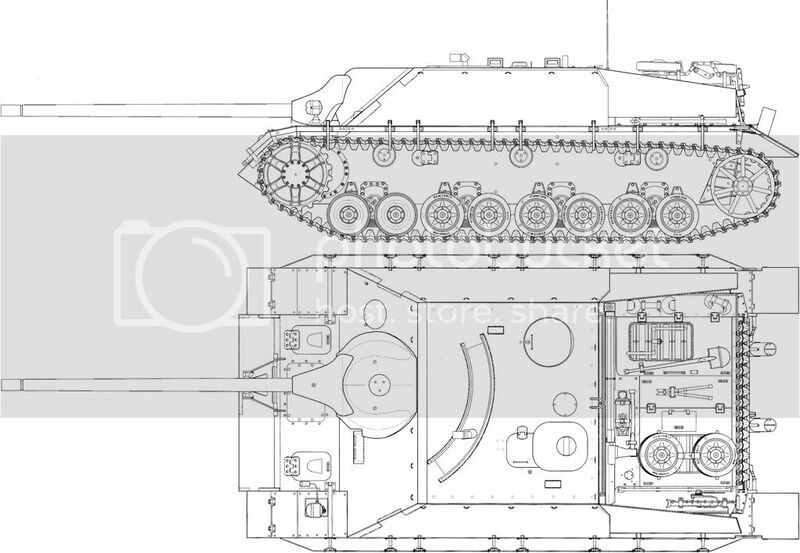 The IV-L70 had the gun you see in the upper picture (without the muzzlebrake), I guess the museum put the other gun (which looks to me like the standard 75L46 STUG III gun) on the vehicle you see on the other picture. That would make more sense if they extended to the top to the vehicle. As it is the top half is not covered by them. Pehaps they felt the sloped armor would be less vulnerable to shaped charges? I'm not sure how CM handles Schuerzen. I bet someone here does though. 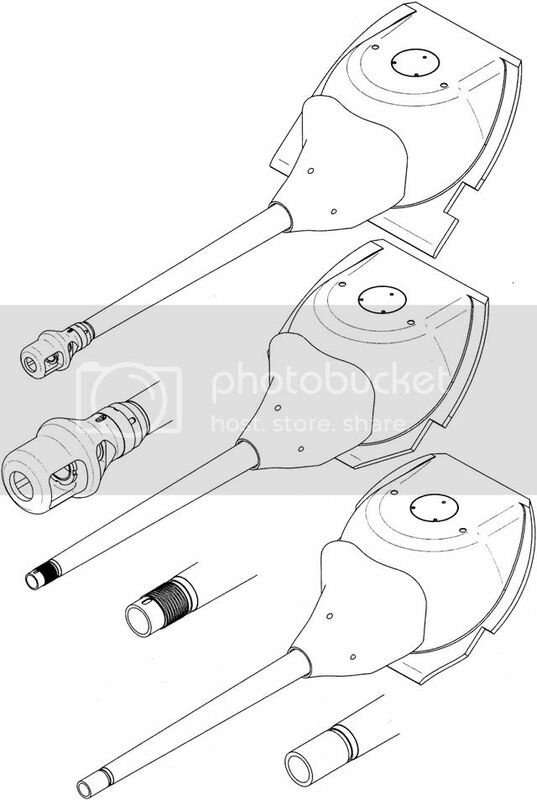 There is a scroll bar under the three pictures so you can scroll over to see the muzzle brakes. I think you are right about the slope. 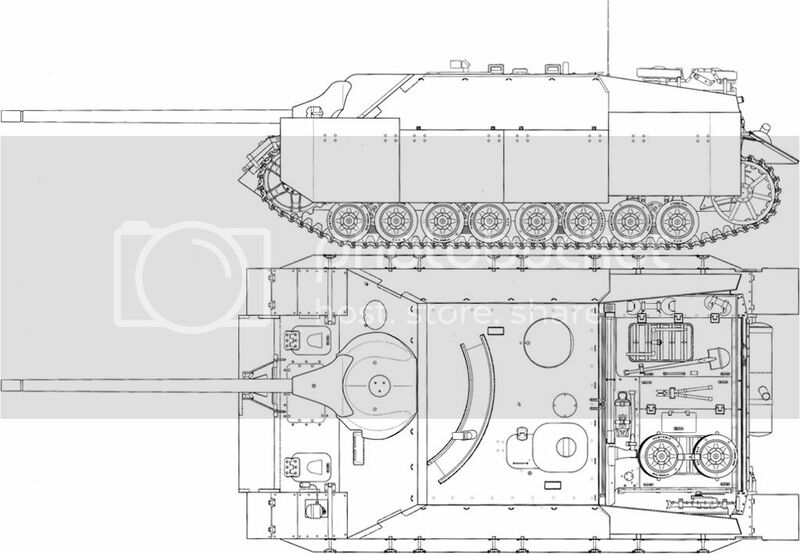 On tank turrets they add the skirts there too. 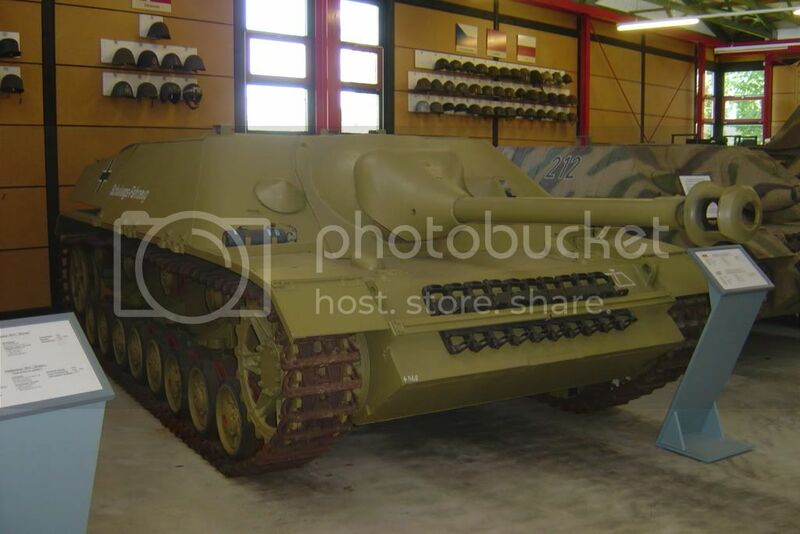 The IV-L70 had the gun you see in the upper picture(without the muzzlebrake), I guess the museum put the other gun( which looks to me like the standard 75L46 STUG III gun)on the vehicle you see on the other picture. Ah, thanks, Stoffel! I have heard of Zimmerit--and it, too, is modelled in ASL!--but I have never seen it, that I know of, and up so close. I'm not sure in CM, but in Panzer Command: Kharkov, the vehicle's have defined "locations" and damage tables for those locations. So to show the effect of the Schuerzen, you could add a model with Schuerzin and modify the penetration at the track locations when hit from the side. There are some modifiers as well, but not sure how they would be used. I haven't done any modelling but the tables are all in XML so it's easy to add stuff. 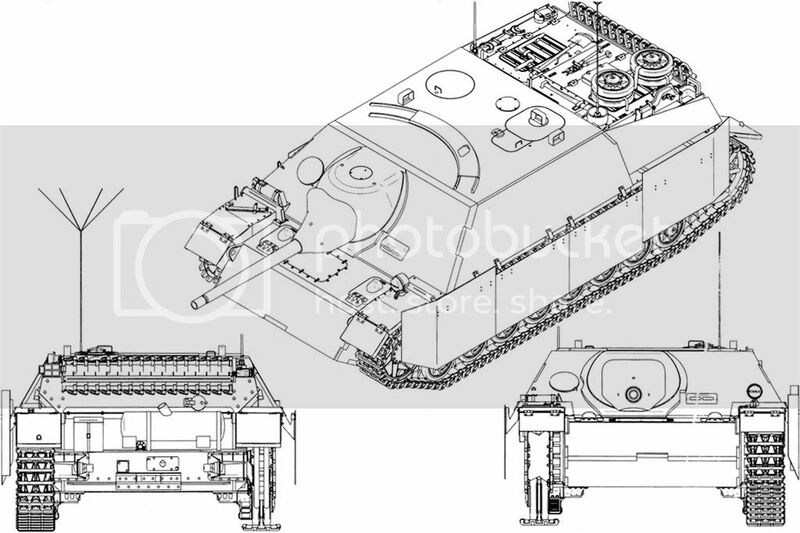 I looked and saw data for a couple of Pz IV' 70's but I didn't see a visual model (though one may have been added by now). Not exactly belonging here, but I'll answer: Schürzen are modelled in CM, though not for every vehicle. If the vehicle in question has indeed skirts as per rule, check the info screen for 'has skirts'. It does apply only in a very general way and not for every vehicle that historically carried skirts (Pamntehrs don't have that special rule, for example). 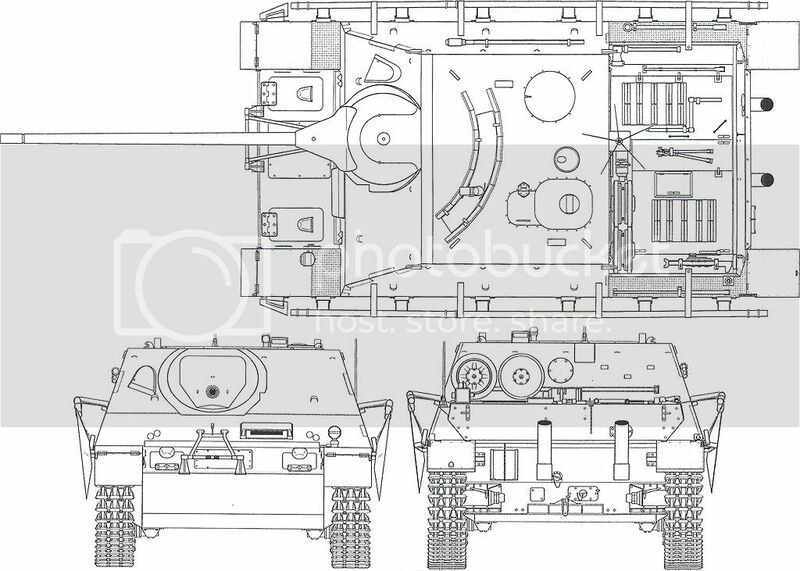 Apart from that there is a difference between teh different vehicles shown here - the top most is indeed a Panzer IV/70 (mid or late model), the others are, in fact, Jagdpanzer IV. 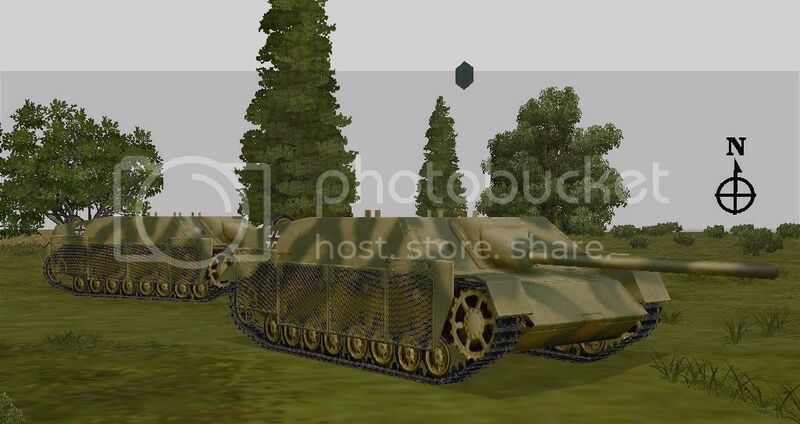 No I know they have the same cahssis and armor (more or less), but the guns are different - the Jagdpanzer Iv carrying a L/48 75mm gun and the Panzer IV/70 a L/70 75mm (hence the name). 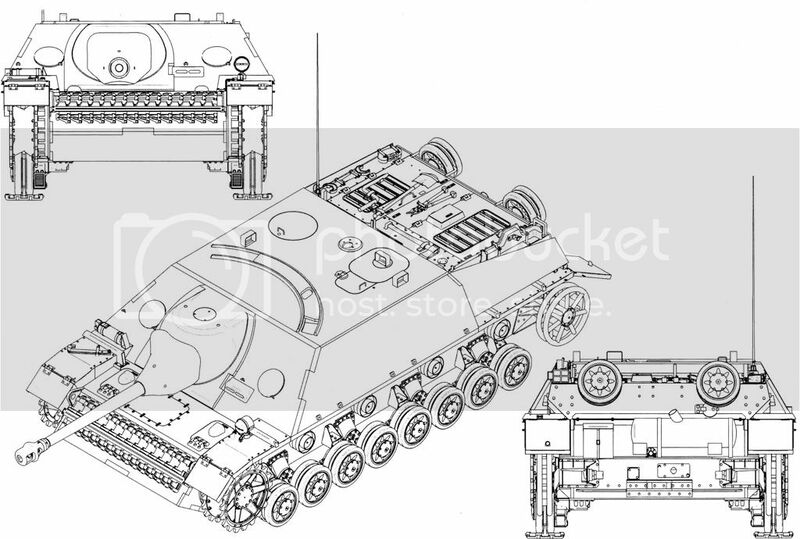 Besides, there's still the differnece between the Panzer IV/70 manufactured by Alkett and those manufactured by Vomag. I can elaborate on this information if necessary. But don't confuse the different variants from now on anymore! The top picture is of a JgPzIV/70. 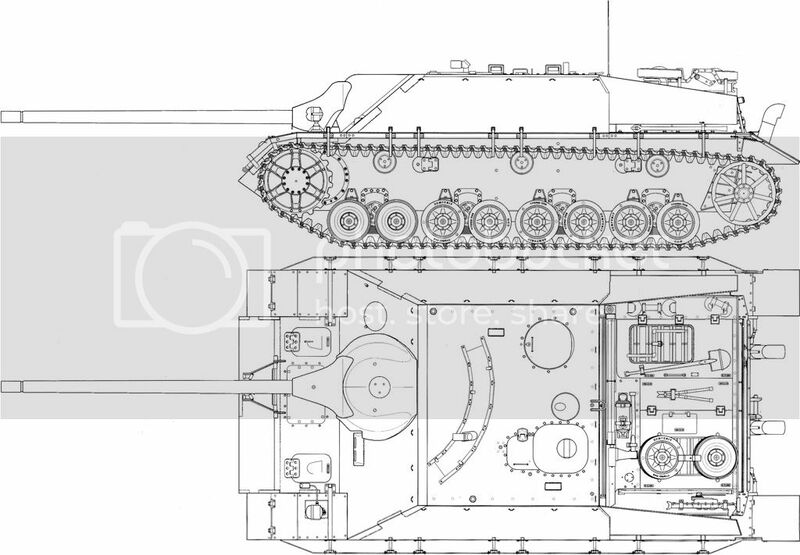 The pictures of the vehicles with the muzzle brakes on them are JgPzIV's. There were 769 JgPzIV's made from January through November 1944. There were 1208 JgPz IV/70, (930 JgPz IV/70 (V) and 278 JgPz IV/70(A)) made from August 1944 through March 1945. These vehicles were known as "Guderian's Duck".